Viscount Riedhaven Trust - Strathspey Estates: an initial mapping study and evaluation of mineral resources of the estates properties between Aviemore and Grantown-on-Spey was folowed up by detailed analysis and identification of sites with development potential. Specific sites were then taken forward to the pre-planning consultation stage. Laing O'Rourke: field and desk study of sand resources and transport links within the Central Belt to identify sites with the potential for the development of a calc-silicate block making plant. CEMEX UK Ltd: EIA Geological and Geo-diversity assessment for extension to the company's Hyndford sand & gravel quarry, Lanarkshire. Extension of Cambusmore quarry, Callander. Cloburn Quarry Company: field and desk study to identify resources for the extraction of sand and gravel for company use. Land Use Consultants: Geological and ground condition assessment and EIA report of the impact of onshore cable route for the Neart na Gaoithe offshore windfarm to Crystal Rig, East Lothian. 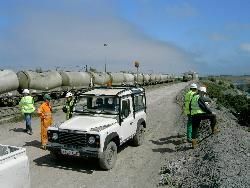 Scottish Quarries Rail Connection Study: pre-feasibility study was carried out in collaboration with rail consultants Reid Rail and Deltix of the prospects for rail connection of 22 hard rock quarry sites, including assessement of capital cost implications and rail network capacity and capability issues. Nickel Prospects in the Scottish Highlands: an evaluation of exploration data held within the public domain to identify target sites within Northeast Scotland. Gold Prospects in the Scottish Highlands: a feasibility assessment of developing the Cononish gold-silver deposit near Tyndrum, Scottish Highlands. Re-evaluation of exploration data held within the public and private domains of the Urlar-Caliachar Burn prospect, leading to development of the prospect. Prospectivity for estates in the Helmsdale area, Scotland. Grontmij (formerly Carl Bro): Environmental Impact and site assessments for the European Marine Energy Centre (EMEC) , Stromness, Orkney. Hydroplan: Feasibility studies, site surveys, geohazard and resource assessments for hydro-elcectric renewables projects within the Scottish Highlands. 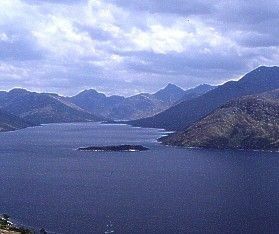 Sample projects include the redevelopment of the Blackwater supply scheme for ALCAN, Glen Douglas hydro-scheme for Luss Estates and the Ederline scheme. Scottish Natural Heritage: Geo-diversity audits. Documentation and baselinecondition and monitoring of Geological Conservation Review Sites in Scotland. Site monitoring of geological SSSI. Scottish & Southern Energy: Feasibility studies, site surveys, geohazard and resource assessments for wind farm renewables projects. Peer review of Environmental Statements.